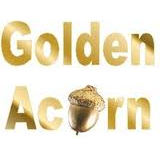 A Golden Acorn Award is presented by the Lakeview PTSA to a volunteer in recognition of his/her dedication and service to children and youth at Lakeview. A contribution in the name of the recipient(s) is made by the Lakeview PTSA to the Washington State PTA Scholarship Program. From these contributions, WSPTA is able to provide grants to freshman students entering post-secondary education. A committee appointed by the PTSA’s Executive Commitee collects nominations in the spring and the recipient(s) are presented with the Golden Acorn Award at the Volunteer Tea.